Hosting a function and looking to add some atmosphere? 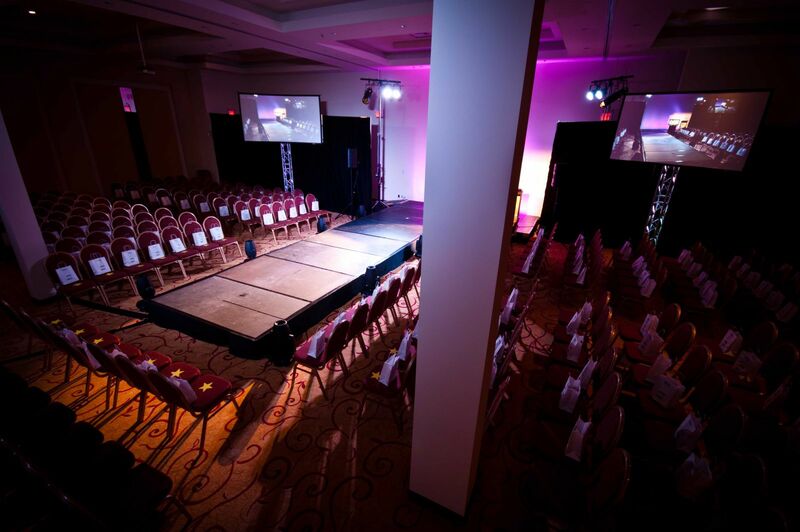 Energize your event with Magnacom’s latest generation lighting options. Our intelligent moving lights create color-moving, pattern effects that glide along a wall or ceiling, creating a ‘movie-premier’ look that’s sure to dazzle. The lights are customizable and computer-controlled so our expert operators can create a dynamic, vibrant effect by changing from one color or pattern to the next. Want something more simple? Splash color on a stage or presentation room wall with our energy-efficient LED lighting to soften, enhance or energize, depending on the look and feel you prefer. Want to amp it up instead? Our “Gobo” option, an intelligent moving light feature that illuminates your company or sponsor logo as the pattern, can make the lighting truly all your own. Whatever your choice, our power distribution equipment, which is often required for larger lighting packages, will keep your lighting safe and effective so it can work the magic you want.